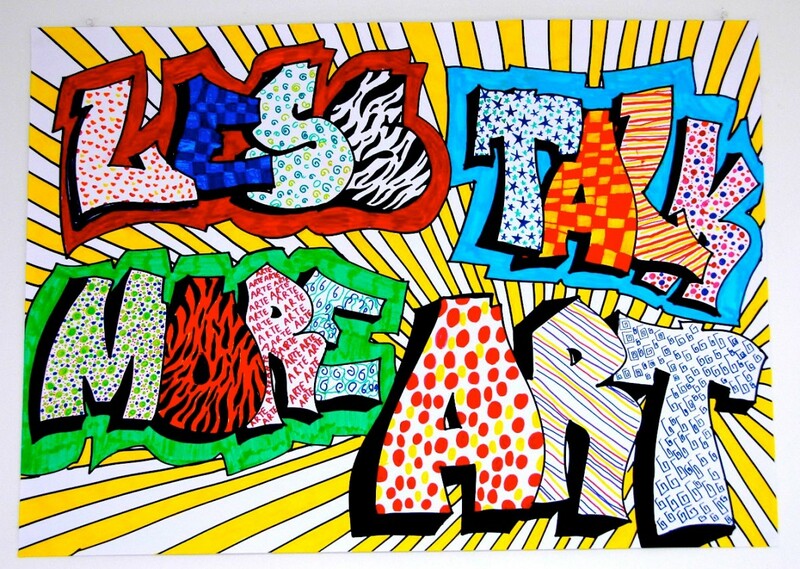 You are here: Home / Teaching / Educational system / Less talk, more ART! 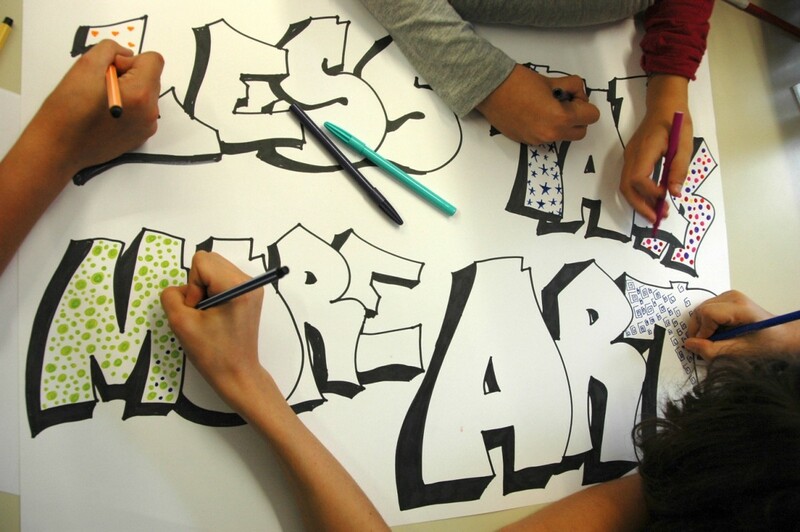 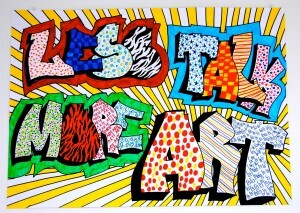 Here is our slogan, hanging in the Art Room, realized and colored from some willing students. 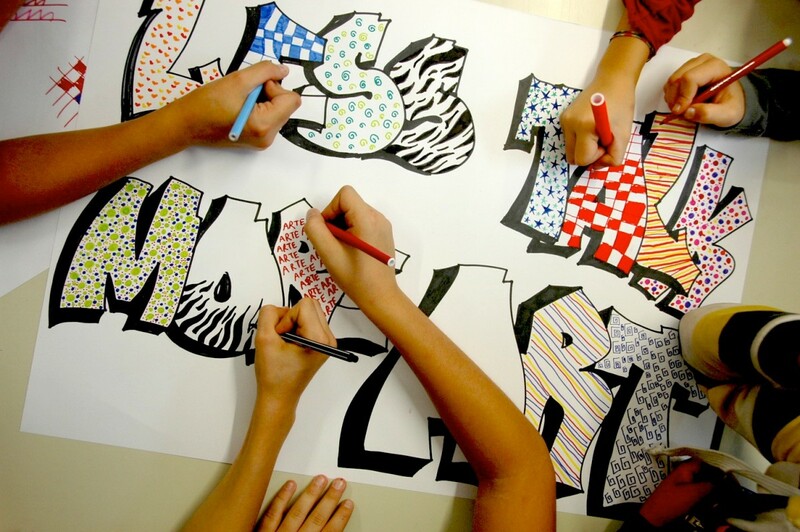 It is ready to remind us all the time that the important thing is working having fun, learning by creating, and create using our time well! 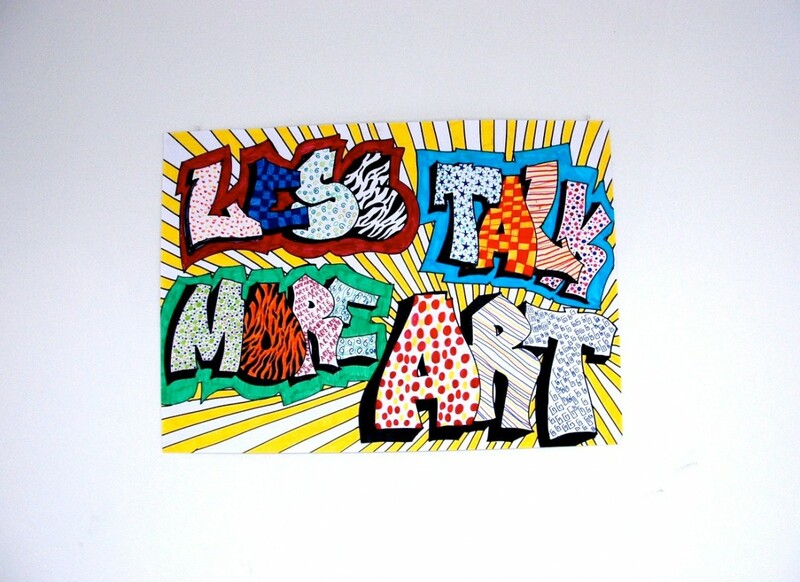 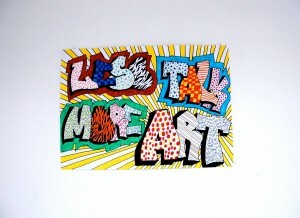 Work, therefore: less talk, more ART!